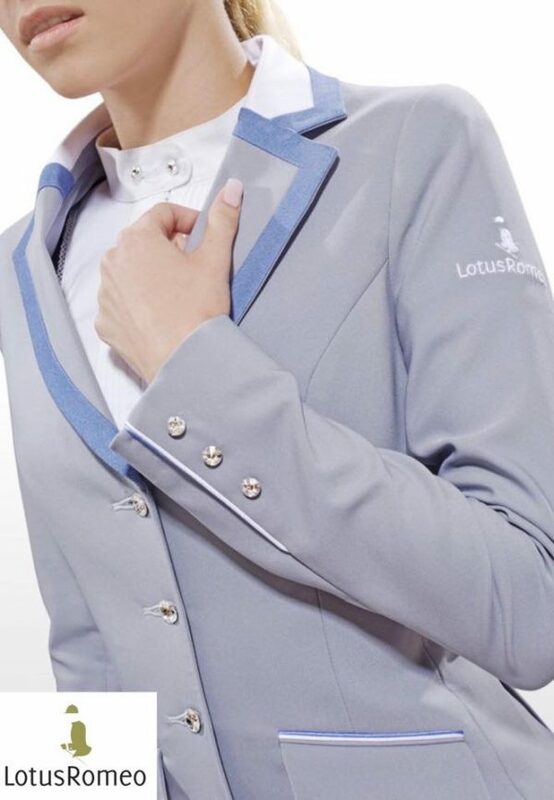 LotusRomeo presents the latest beauty in show jackets. The LotusRomeo Technical Show Jacket with Contrast Lapel “Joy” is the most exciting part of the new collection. If you are looking to upgrade yourriding attire, this is the perfect addition. Limited sizes available. These jackets are made to measure, Please call us on 014588600 or email accounts@saddlery.ie if you would like a bespoke show jacket made for you.